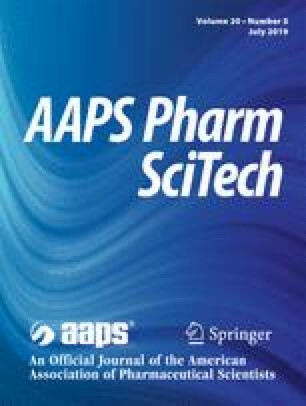 In this work, the effect of API’s (Active Pharmaceutical Ingredient) shape and size on tablet characteristics is investigated for high API dose formulation manufactured by direct compression. Three different classes of APAP (acetaminophen) are selected, and tablets are produced in both single and batch processes. After performing and comparing comprehensive series of standard characterization tests including hardness, dissolution, disintegration, and friability on the tablets, the test results show the relation between the quality of APAP tablets and the shape and size of the crystals. We also investigate the effect of scaling up the manufacturing process (from single to batch) by evaluating dosage uniformity and possibility of segregation in blends. The results indicate a strong interaction between manufacturing parameters such as speed and scale of production to API crystal size and shape. This places crystal properties in the critical parameter set that requires tracking and monitoring in order to maintain consistent tablet properties in high-dose formulation continuous manufacturing operations. The authors gratefully acknowledge the support provided from the National Science Foundation (NSF)-ERC center and NSF-SAVI grant. The merck index. An encyclopedia of chemicals, drugs, and biologicals. Tenth Edition. 2, 067 pp. (including tables and index) [Internet]. Merck & Co., Inc. 1983. Available from: https://doi.org/10.1002/hep.1840050135. US Pharmacopia [Internet]. 2018. Available from: http://www.usp.org.